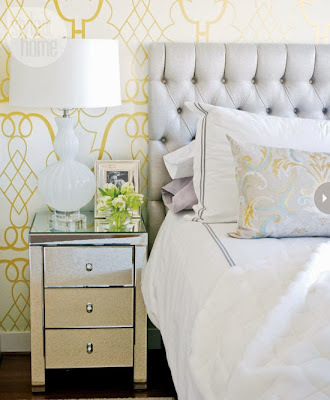 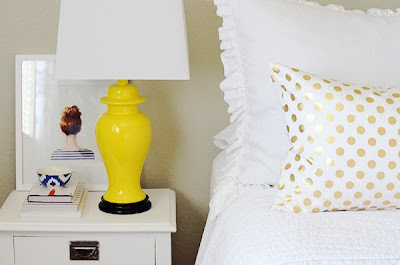 I am such a big fan of gold accents in the bedroom. 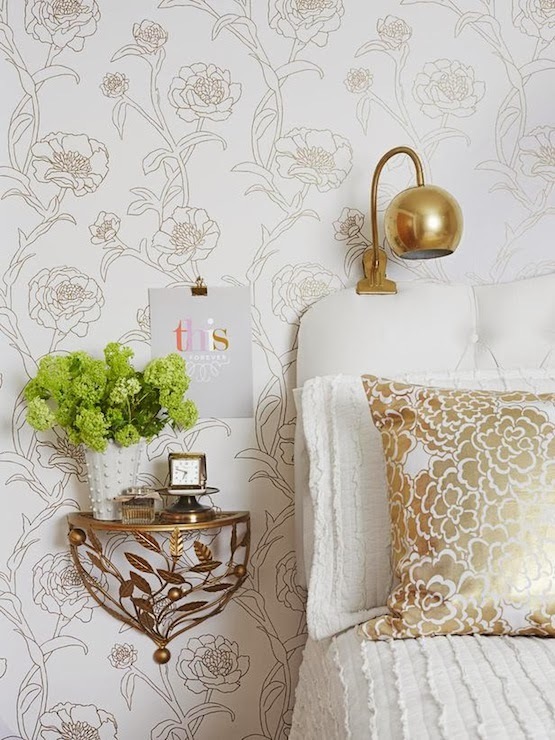 A wallpaper, headboard, pillow or a lamp something needs to be gold. 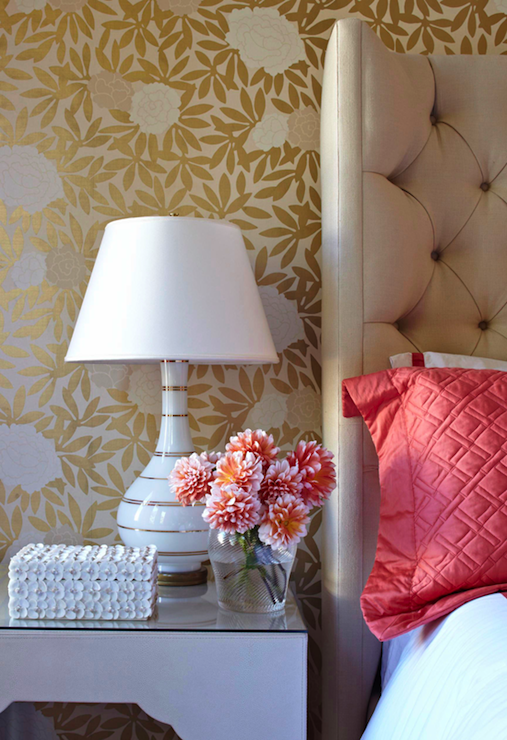 It a warm rich color that especially now in the wintermonths invites you to snuggle up in your bed. In the first two pictures, both gold pillows are from Caitlin Wilson. In the last picture, the golden leaf wallpaper is from Osbourn and little Asuka wallpaper, wich I love!